The comfortable accommodations, fully equipped suites and rooms, room service, Color televisions with cable, Intercom phones and 24 hrs running cold and hot water in your bath are some of the features of our every suites and rooms. We feature a total of 15 suites and rooms including 1 V.I.P Suite, 3 Deluxe Suites, 7 Superior Deluxe Rooms and 4 Deluxe rooms. 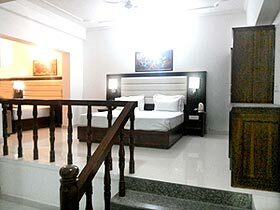 Rooms at the Imperial Heights Resort range from simple and elegant to ornate and extravagant. With amazing interiors of the suites and rooms there are 15 different rooms and suites to choose from. To ensure our guests’ comfort and convenience, each room features fully furnished interiors, bedside consoles to control lighting, remote-controlled televisions with cable programs, toiletries and personal safes. The room has a view of the Dhauladhar mountain with outdoor seating and green German grass lawns. Stay in our Suites in and enjoy luxurious suite accommodations that will certainly make you feel charmed and experience a royal treatment. 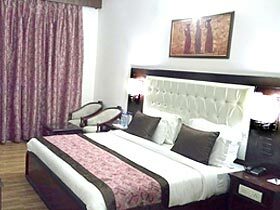 The suites are best accommodation for medium budget guests who will not compromise on quality and room beauty. 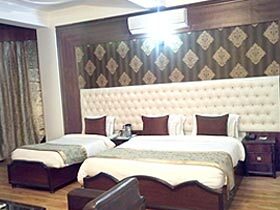 The Superior Deluxe rooms as the name suggests is the superior quality rooms in this category with amazing architecture and beauty in itself.